Rapper, Drake who is rumoured to be dating, singer and actress Jennifer Lopez, bought a $100,000 platinum and diamond Tiffany Victoria necklace for her. According to E! News he gave the jewelry to her as a gift on New Year's Eve. But Drake is known to buy expensive gifts for his women. 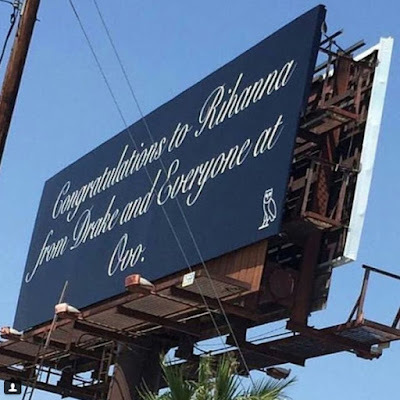 He Bought Rihanna a Billboard: Put her name on it ahead of the 2016 MTV VMAs, during which the singer was presented the Video Vanguard Award. He surprised RihRih with a billboard, which read, "Congratulations to Rihanna from Drake and Everyone at OVO." The bad gal later shared a photo of it, writing, "When he extra," with a heart and a trophy emoji.